Alex Lucero- Lead vocals, guitar /frontman. Ryan Price- Bass, back up vocals. Mick Adams- Lead guitar, back up vocals. 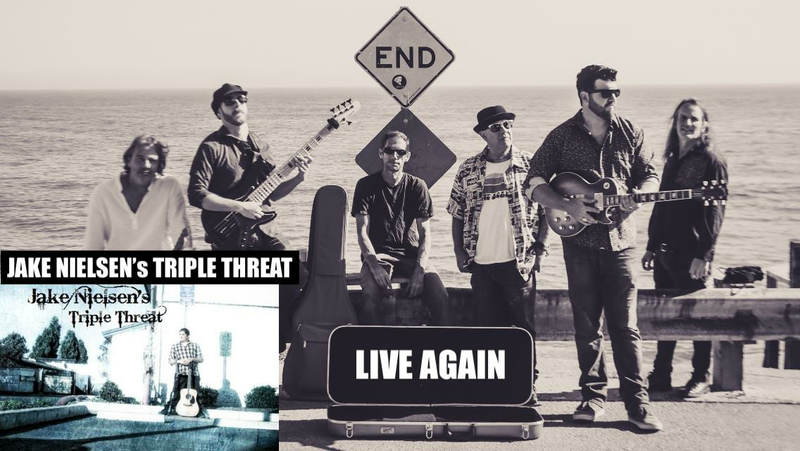 Live Again is a Soul, Funk, Rock band originally from the central valley of California. 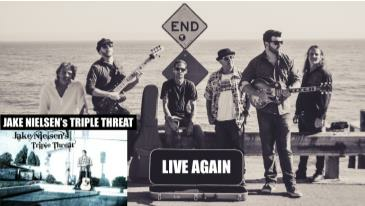 Now residing in the Santa Cruz area, Live Again is always striving for bigger and better venues. Since their conception in 2013, they have won multiple battle of the bands as well as 2015 Valleys' Got Talent for Valley's Best Band with their original song "Every Other Time". Since then they have come out with another all original album entitled "Keeper Of Time" as well as got to share a bill with band such as; Gin Blossoms, Big Head Todd & The Monsters and Tonic. Alex Lucero, the band's frontman recently performed at The Saratoga Mountain Winery starting the night off for the world renown Ukulele player Jake Shimabukuro. Live Again performs anywhere from 2-5 times a week all over the state and regardless of the venue their smooth sound is unmistakable.